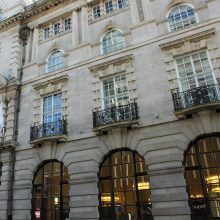 Liverpool’s historic Grade II listed Royal Insurance Building has been transformed into a new Aloft Liverpool Hotel, and is the culmination of a multi-million pound investment project led by Ashall Property, Liverpool City Council and English Heritage. As part of the overall scheme the Sika 1 pre-bagged Waterproofing System had been specified by the project Architect to address issues of water ingress to the walls and floors of the Lower Ground and Basement. As a Sika Registered Waterproofing Contractor, Specialist UK Restorations were successful in the tender process and appointed by Main Contractor, Balfour Beatty Construction, on a supply and install basis. Extensive preparation complete, SUKR started by casting a layer of Sika 1 Spritz Mortar over the walls, followed by a layer of Sika 1 Render Mortar and Sika 1 Finishing Mortar. Sika 1 Spritz Mortar was applied to the floor, followed by a layer of Sika 1 Screed Mortar. The key ingredient of the screed and render system is the Sika 1 admixture, a colloidal silicate liquid which reacts to moisture by expanding into a jelly-like substance – blocking all gaps and capillaries in the structure for a watertight seal. The conversion of the Lower Ground floor and Basement areas to usable space is due to SUKR’s specialist installation of the Sika 1 Pre-bagged Waterproofing System, providing total protection from water penetration. As part of the critical timeline, all works were complete on time allowing the subsequent trades to commence their works in a timely manner. As a Sika Registered Waterproofing contractor SUKR have undergone a number of on-site installation assessments (including basements, underground car parks, swimming pools, bund walls), a management systems review, and a comprehensive financial review. Subsequently, as Sika trust our levels of installation and support, we are also able to provide Sika’s fully warranted workmanship and materials guarantee alongside our own Company guarantee. Burscough Wharf was a disused British Waterways complex. 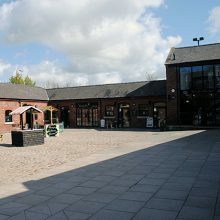 This award winning project is now a bustling court yard in the heart of Burscough consisting of high quality shops, tea rooms and restaurant. This disused complex was in desperate need of repair and restoration. SUKR were instructed to cure the rising damp problem to the perimeter walls using a Remmers DPC injection system. SUKR were also asked to carry out additional works which consisted of Helifix crack stitching to various areas of the original buildings to resolve any further structural movement. 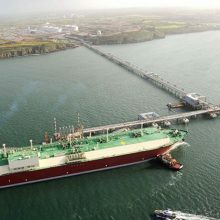 South Hook LNG in Milford Haven is the largest Liquefied Natural Gas terminal in Europe for ships bringing LNG from Qatar. Safety and environmental issues are of paramount importance on this site. Kier engaged with SUKR to find a solution to seal tanks so they could contain any LNG that may leak from ships. This was an unusual project as the tanks were situated out at sea. SUKR used specialist Remmers coatings to seal the tanks successfully. This is a great example of how SUKR finds solutions to deliver projects when faced with the most unusual and difficult of circumstances. Scarborough Spa has under gone a £6m refurbishment programme. SUKR are very proud to have played such an important role in this project which has gained much public & media attention. 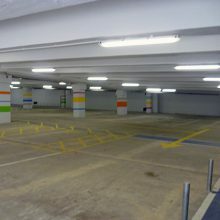 SUKR worked in partnership with engineers and material manufacturers (Sika) to put together a programme of works for the complete refurbishment of the car park. The £150K car park package included concrete repair, anti carbonation coatings, waterproof decking & lining of the car park. SUKR successfully completed the works as programmed in time for the grand opening and start of the summer season. 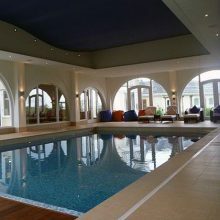 This private residence in Cheshire had a major refurbishment including the addition of an indoor pool. SUKR were asked to recommend a solution to ensure that the pool was watertight and that high quality tiling and fixings could be fitted within the pool. SUKR mechanically prepared the existing substrate before using a Sika 1 Structural Waterproofing System which included SikaDur CombiFlex. As with many high profile projects of this type SUKR offer the option of a 10 year insurance backed guarantee for the specialist works it carries out. SUKR has successfully carried out many pool waterproofing projects of this nature in luxury properties.